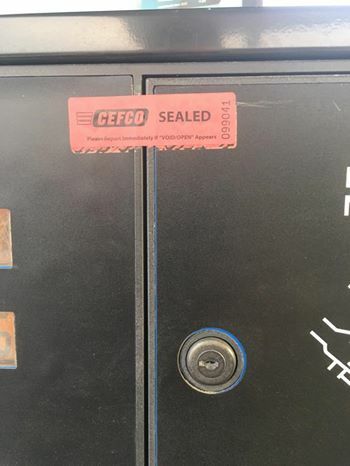 There have been a growing number of reports about fuel pump credit card skimmers in Texas lately. Since no one wants to be the victim of identity theft, we’ve gathered some amazing tips to help you at the fuel pump. Card skimming allows thieves to illegally collect data from the magnetic strip of a credit, debit, or ATM card and copy it onto another bankcard’s magnetic strip. This action gives thieves the opportunity to make illegal purchases or withdraw cash in the name of the actual cardholder. Skimmers will generally tamper with pumps that are obstructed or further out of view from the gas station attendants. Try to use pumps that are close to the storefront or have good surveillance. It’s always a good habit to routinely check into your bank account and make sure that there’s no suspicious activity going on, but especially now that there have been more reports of these scams. If you notice any charges that you don’t recognize, contact your bank immediately. The sure fire method to make sure that your credit card is safe is to pay with cash. While it might seem inconvenient, this tip is good for more than just fuel pump skimmers. If you’re unsure about the validity of your fuel pump card scanner (or any card scanner for that matter) it’s always good to have some cash on hand. If you have any more tips, be sure to let us know!